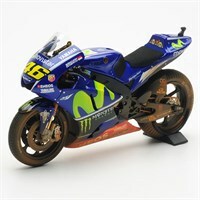 Minichamps 1:12 diecast model of the #46 as driven by Valentino Rossi in the 2017 Malaysia Moto GP. 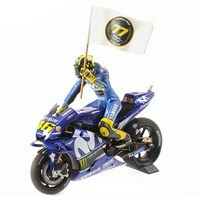 Minichamps 1:12 diecast model of the #46 Yamaha YZR-M1 as driven to victory by Valentino Rossi in the 2017 Assen MotoGP and a 1:12 diecast figure celebrating his victory. 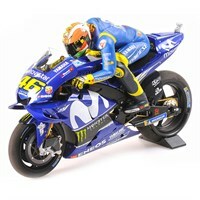 Minichamps 1:12 diecast model of Valentino Rossi's #46 Ducati Desmosedici GP 11.2 from the 2011 Moto GP season. 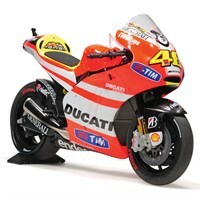 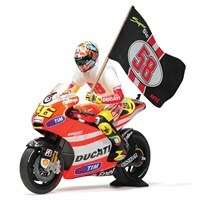 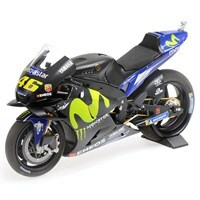 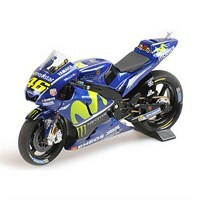 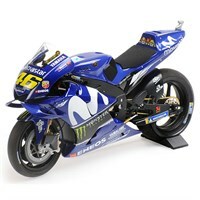 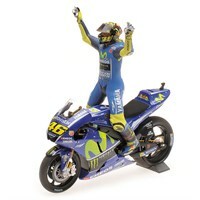 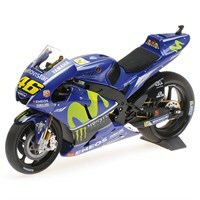 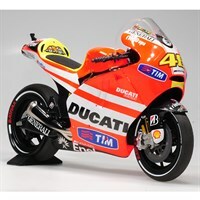 Minichamps 1:12 diecast model of Valentino Rossi's #46 Ducati Desmosedici GP 11.1 from the 2011 Moto GP season.